All the tools and related cutting parameters are stored in a database. 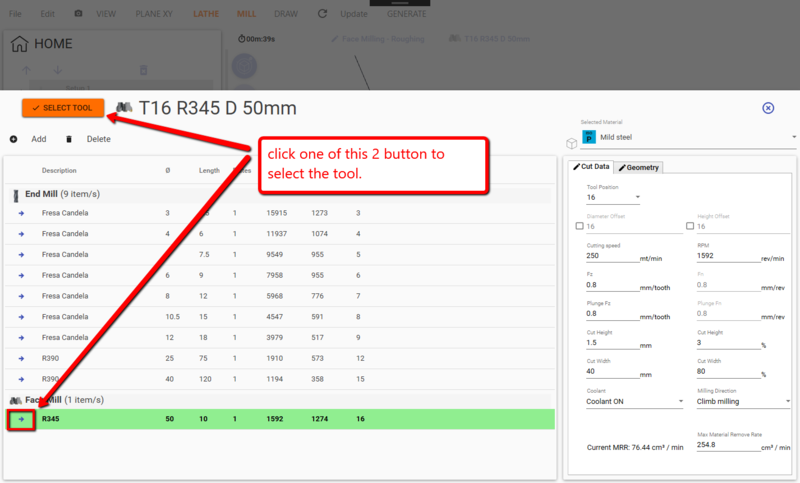 A single tool can have different cutting data parameter set . One for each stock material type. 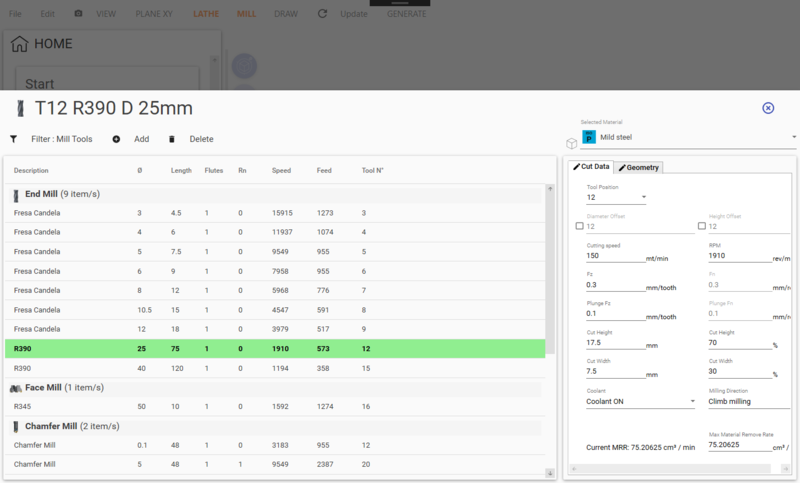 You just need to select the stock material in the stock screen , and the related tool parameter will be selected automatically. Now you can filter the tools list by the Filter Menu item. The available filter are MILLING , DRILLING and TURNING type tools. To close you can : click outside the tool screen ( in the gray area ) , press [ESC] key or click on blue cross in the corner up right of the screen. You can select a tool for an operation in different ways. 1/3) In the operation screen , you can click on the single operation title . 2/3) When an operation is selected , you can click over the tool description button on the top of the screen. 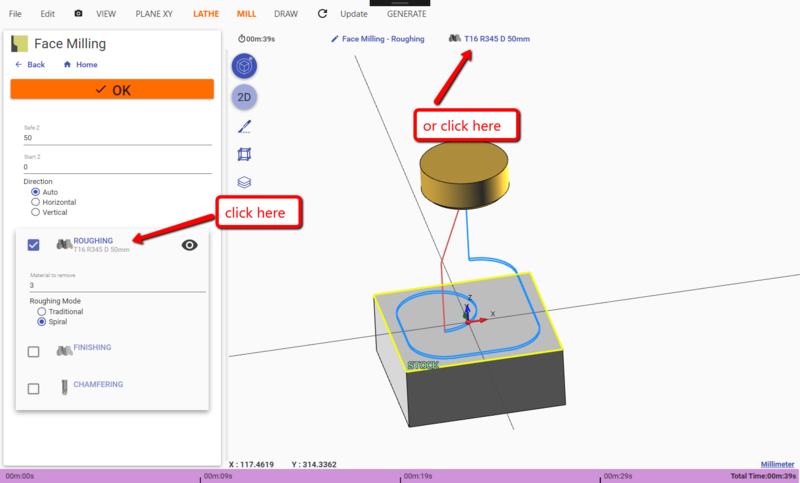 3/3) In the HOME screen, right click on the operation item and select the tool. Will show up the same tool dialog, but with only the compatible tools type. 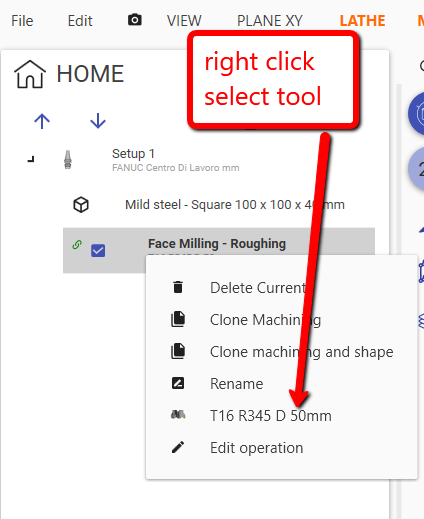 To associate the tool with the operation , select it from the list , now with green background, and press the [SELECT TOOL] button, or the arrow icon at the left of tool name.